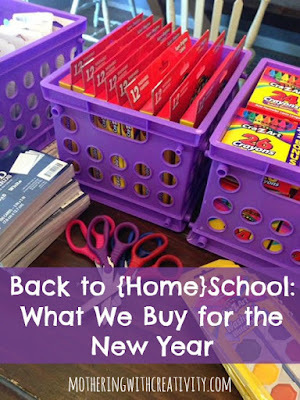 While many homeschoolers don't follow a traditional school year calendar, the stores all do, which means to save money, you really do need to purchase your homeschool supplies at "back to school" time. Over the years, I've done the store hopping to get all the penny deals at stores like Office Depot. The only problem is that I then found myself waisting a LOT of time each week running into all of the stores with the great deals, AND often spending MORE money since they'd somehow rope me into the unnecessary items, too (I can't resist a cute notebook). Eventually, last year I got smart. I decided that (in general) the best one-stop-shop is Walmart. The only downside is that it means I have to go to Walmart. Sigh. Sometimes it's unavoidable. So below is my general back to school list from this year. I get most all of these at Walmart, and I've listed the prices that I paid (7-20-17) next to the items from there so you have a general idea of costs. I try really hard to OVER buy if anything, because the middle-of-the-school year costs for things like crayons are ridiculous! -I DO try to buy name brands, as off brands typically are not worth the hassle. I stick to Crayola or Cra-Z-Art for markers/crayons. For pencils, I ONLY buy Dixon Ticonderoga (really, I hate spending all morning sharpening pencils, and these are the best). -Sometimes I use crayon boxes or marker boxes to add to birthday gifts during the year. It's an inexpensive way to add something all kids love! *Regular folders- I have PLENTY of these left over from last year when I bought them for $.10 each at Office Depot. 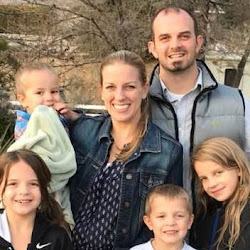 I usually plan to have about 4 per child per year. I spent about $50 on this trip, and about $5 in previous weeks. I will need to spend another $20, I'm guessing (I watch the office supply stores for my white printer paper-those deals are worth going in for!). These supplies will easily last us through the year, and many items will likely have leftovers going into the next year. I store them all in labeled tubs to keep them organized. 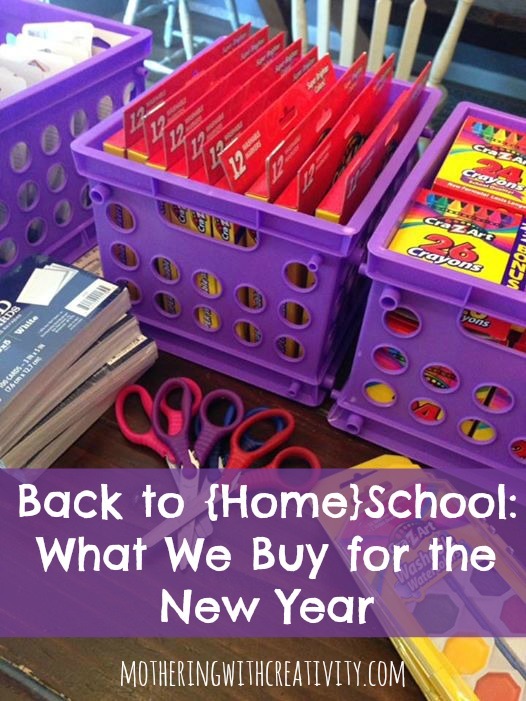 What supplies did I miss that you find necessary during the school year?